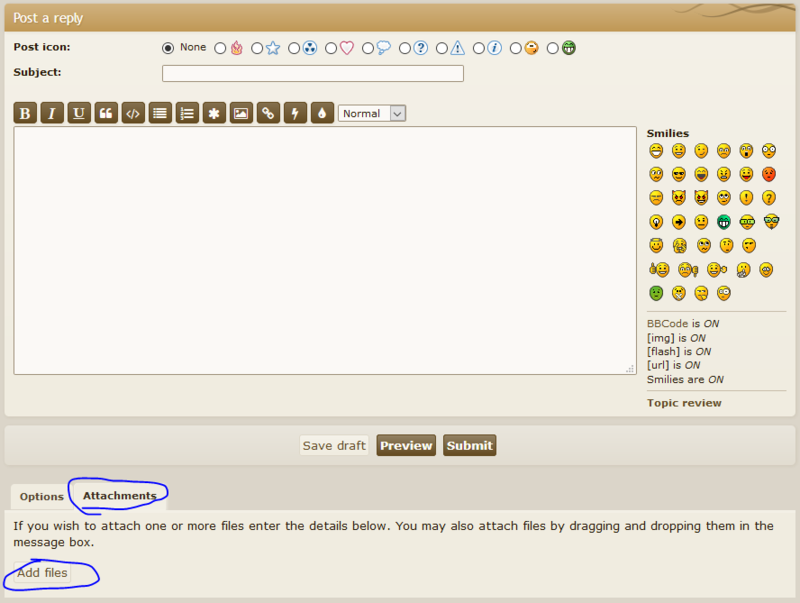 To upload images to the forum you have to use the full editor. Follow the steps below to do that. At the bottom of your post click either "Post reply" or "Full Editor & Preview"
Once you have that open you will see an "Attachments" tab, click that and then you will see a button called "Add a file" click that and upload your attachment and you are done!